Just a quick shot of today’s harvest. 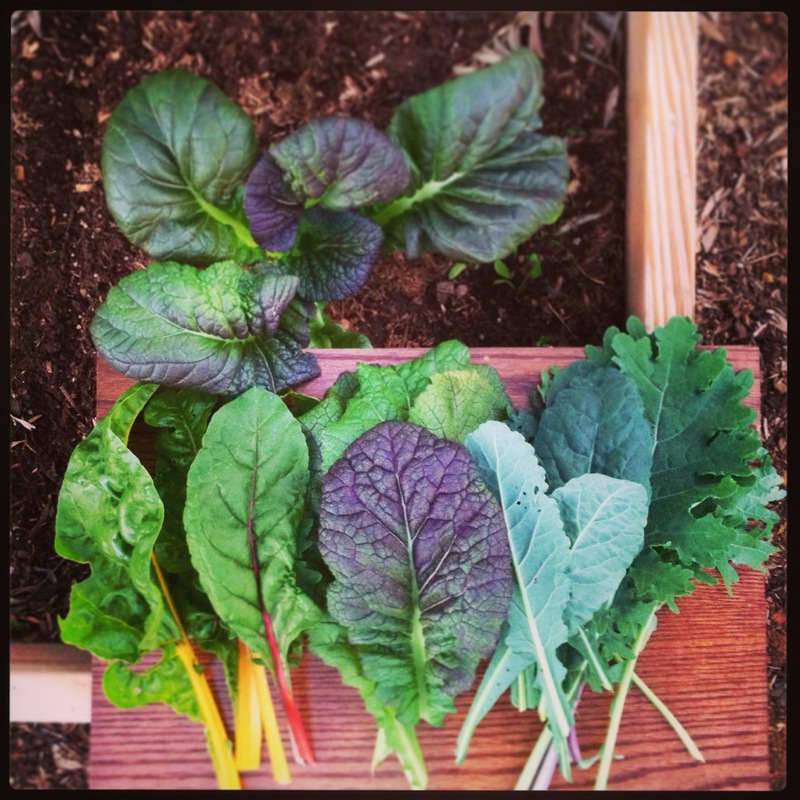 Tender rainbow chard, mustard greens, lacinto kale and red Russian kale. Papa Bird quickly sautéed them in coconut oil. Greens that fresh don’t need a lot done to them. Not that long ago, he and his friend, Mark, built a new raised bed by the house. They used a new (to us) technique called hugelkultur, a permaculture practice of layering wood and soil “like a lasagna”. This entry was posted in Seasonal Recipes, Urban Agriculture, Urban Homesteading and tagged gardening in small spaces, permaculture, raised bed gardening, urban gardening. Bookmark the permalink.